It was risky, but I decided it was time. I took a deep breath and went for it! Yes, that’s right, I actually put my winter coat away for the season. Here in Boston, that’s a risky move, but I was ready. And as I cleaned out the pockets to put it away, I remembered a friend who would intentionally put $20 into their coat pocket every spring, so when they took it out in the fall they would have the joy of finding that $20. It’s an interesting trick, and it made me wonder, how would YOU feel if you could 10x that? What if it was 100x or even more? 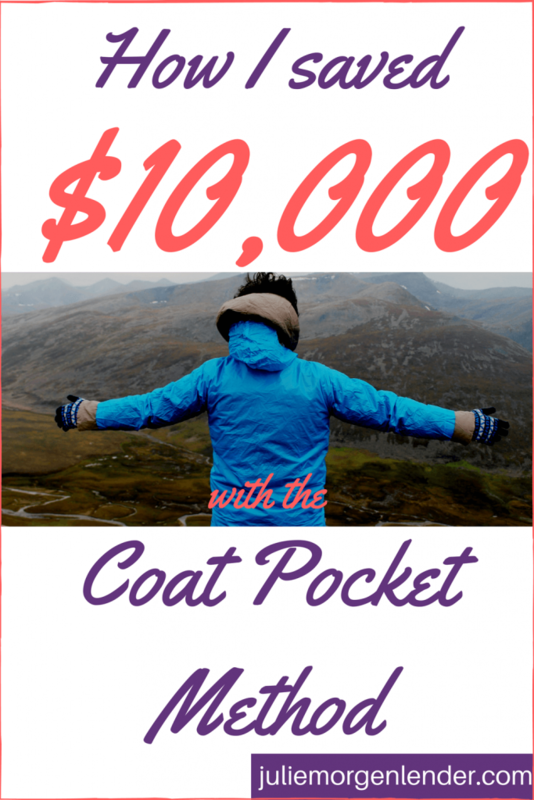 What if you reached into your coat pocket and found $10,000?! In a minute we’ll talk about how to do this, but first, why does it work so well? Look at the original example: my friend put $20 into a coat pocket, knowing it would be found later. Then when the $20 was found, they were happy and excited. Have you ever found something you’d forgotten you had? It’s exciting, right? Let’s say you put $20 into a coat pocket or a purse you won’t use until next season. Then you find it: an extra $20! Yay! But you’re not $20 richer. That was your $20 to begin with. Still, it feels like found money. It feels like you found $20 on the ground and picked it up. It feels like someone handed you $20 and told you to keep it. I won’t get into the psychology here. The important thing is to know that you can put $20 aside now, in a place where you know you’ll find it long after you’ve forgotten about it, and then you’ll feel great when you find it. Like when I hide the last piece of chocolate at the back of the cabinet, and then find it several weeks later. Yay, the chocolate fairy left me some chocolate! What if you found $10,000 today? If it’s fun to imagine reaching into a pocket or a purse and pulling out $20, then imagine pulling out $10,000! Wow! How amazing would that be?! Now seriously think about this, because it’s not a hypothetical. It’s really possible, it happened to me, and I want it to happen for you. This is money for your retirement, for your house, for your kid’s college fund, for your vacation. Why not give future-you this awesome gift? You could put $10,000 into your coat pocket or purse, and wait to find it down the road, but that feels risky to me. It’s probably better (hint: it’s definitely better) to do something safer with your money, like put it into a savings or investment account. So the first thing is to open a no-fee account. Next, you probably don’t have $10,000 laying around that you can put into that account, right? That’s cool, put in a smaller amount instead, and do it over and over. Instead of putting in $20 and forgetting about it, what if you put in $20 every week and forgot about it? At some point you would open the account balance and be shocked to see hundreds or thousands of dollars in there, just from $20 per week! To make it easier to forget about it, automate the deposits. Have your employer split your paycheck and put money in regularly, or set up an automatic weekly transfer from your checking account. Now let’s take it a step beyond that. Instead of saying at some point you’ll look at the account and be surprised, put a note in your calendar. Then forget about it completely. One day you’ll be looking at your calendar to see what’s coming up this week, and you’ll notice a hot date, a workout, dinner with a friend, and “check hidden $10k account” and you’ll wonder what that’s about. Then you’ll remember, you’ll look at the amount, and wow! Time to do a happy dance! Once upon a time, I had a job with a retirement account. Every month, money was put into that account for me. It was all automated. One day I opened the account online, and saw that I had almost $8000 in it. I was shocked. I had no idea there was that much there. If you have a 401K, a 403B, or another retirement account that is automatically paid into every month, you might have experienced this. Every month you put money in – it’s your money – but because it comes directly from your paycheck, you don’t think too much of it. You might check the statements every month, but you don’t think too much about the numbers. Those are for later, when you’re older, totally irrelevant right now. But remember, that’s your money. It’s part of your net worth. One day you will need that money, and you will be glad to see what I hope is hundreds of thousands of dollars in the account(s). This is the same idea. Only it isn’t necessarily going into a retirement account. It can if you want, but it doesn’t have to. You might use it sooner for the down payment on a house or a trip overseas. Or just to have the peace of mind that it’s there if you need it. Depositing $20 per week will give you a little over $1000 a year from now – that’s great, but you can do better. Eventually I would love to see you putting aside hundreds of dollars every week, but if this is new to you, it’s good to start small. Choose the amount that works for you today. It might be $5, $20, $50 or some other amount. Then, plan to increase it as you get comfortable with this process. Each month for the first few months, consider if the amount is working, and if it is, try to increase it a bit. Once you find your comfortable top contribution, automate everything. Now you’re on track for big savings and a big surprise down the road! As for me, I was saving over $800 per month. I didn’t calculate it at the time, though. 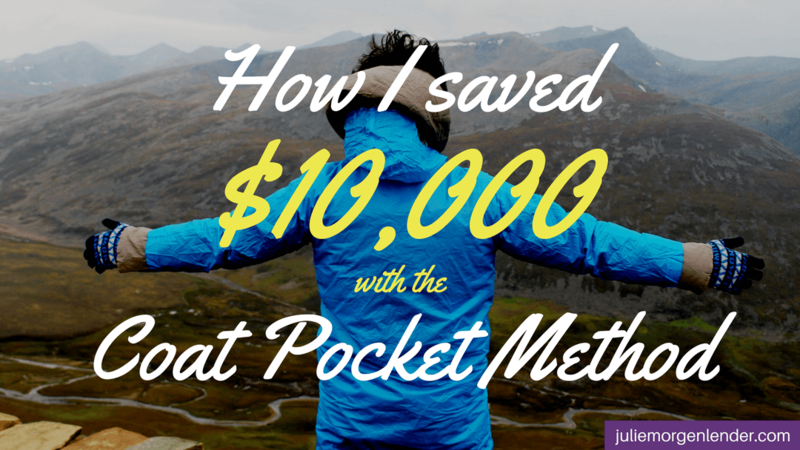 I put it into my investment account every month and I was shocked, at the end of the year, to find that I’d saved $10,000! Let me tell you, that’s the kind of surprise I like! I work with a lot of people who say they could never save up $10,000, but when we review their money, we see that they can totally put aside smaller amounts. Put aside enough small amounts, and you’ll save up even more than $10,000. Then it will be time to aim even higher…. $1,000,000 perhaps? If you’re struggling to save those smaller amounts, never fear! It doesn’t have to be stressful. Sign up below and get useful money tips every Monday (don’t worry, I won’t spam you – I hate that!) so you can make your way to saving thousands!